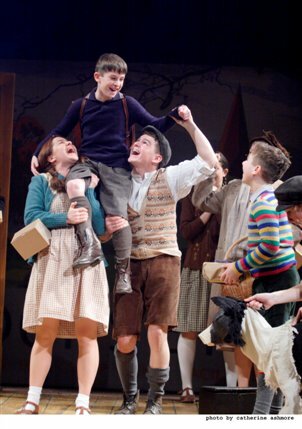 We have special offers available on tickets for Goodnight Mister Tom. After success at the Chichester Festival Theatre and winning an Olivier Award for Best Entertainment and Family in 2013, David Wood's adaptation of Goodnight Mister Tom is back for Christmas 2015. This time staged at the Duke of York's Theatre, Michelle Magorian's tale follows a young boy named Willie who suffers at the hands of his abusive mother. Events take a turn when the Blitz hits London and young Willie is evacuated to the idyllic English countryside, where he builds an unlikely friendship with a reclusive elderly gentleman, Mister Tom. Full of emotion and sensitivity, the story is a modern classic that has the ability to entertain audiences young and old alike, making it the perfect festive family show. What are the best dining options near Goodnight Mister Tom London? Goodnight Mister Tom gyms, sporting activities, health & beauty and fitness. The best pubs near London Goodnight Mister Tom. Goodnight Mister Tom clubs, bars, cabaret nights, casinos and interesting nightlife. Where to have your meeting, conference, exhibition, private dining or training course near Goodnight Mister Tom. From cheap budget accommodation to luxury 5 star suites see our discounts for Duke of York's Theatre hotels, including St Martins Lane, A Morgans Original from 83% off.